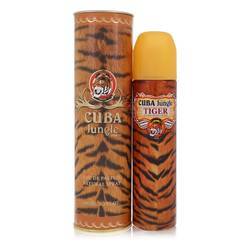 Cuba Jungle Tiger Perfume by Fragluxe, Bottle the power, prowess and bold confidence of a jungle cat and the result is Cuba Jungle Tiger, from Fragluxe. A wild tiger is a glory to behold, beautifully striking yet with an air of danger that only draws its prey closer. 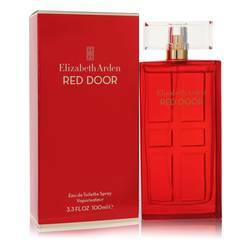 This provocative fragrance does the same with a blend of velvety florals and musk sure to unlock the animal within. 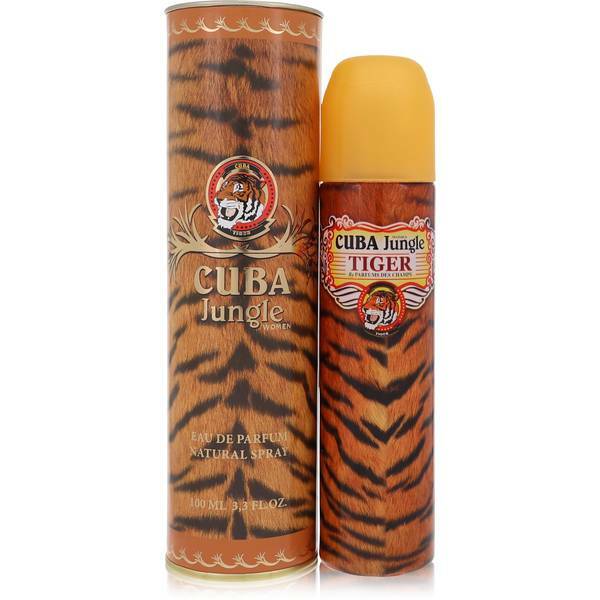 Cuba Jungle Tiger opens with top notes of blissful magnolia, iris and green mandarin, valued for its honeyed Read More Read More aspects. Violet joins hyacinth to create a brightly floral middle. 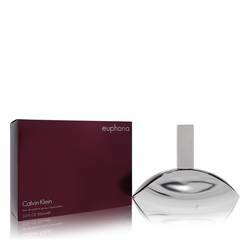 Bottom notes of brazen musk and vetiver round out this scent’s lusty, animalistic appeal. American scent creator Fragluxe is based in Miami, Fl. 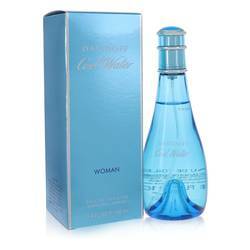 This company is known for its sprawling collection of affordable yet beautifully fragrant men’s and women’s scents. 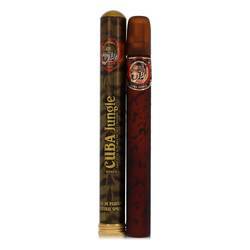 The Cuban line draws its inspiration from the tropical island’s culture and exports. This scent comes in fanciful tiger-striped packaging. All products are original, authentic name brands. We do not sell knockoffs or imitations.